There are only a few days until 2018 is over, which means that we are ready to think about the future and future trends. But today we are going to do something more interesting and comment on interior decoration trends that will continue to be fashionable next year. The trends change constantly, and some simply leave them behind, while others can pass boldly in 2019 and after. Today we are going to share those trends that have been in the first places during 2018 and will continue there next year as well. We started with one of the most fashionable metals during the 2018 copper. 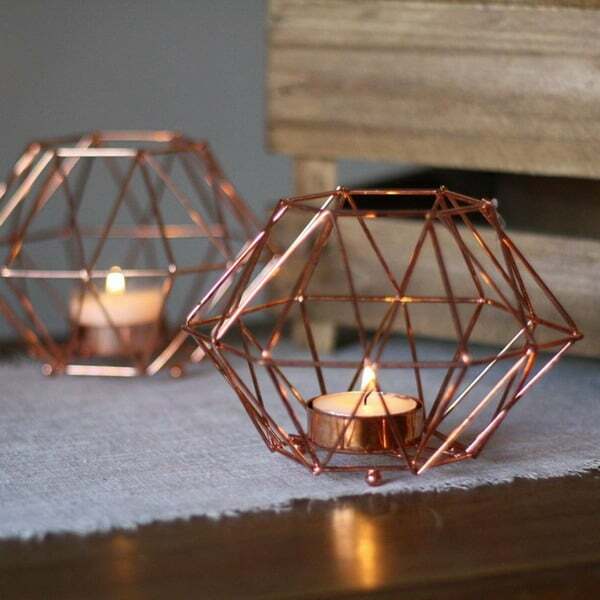 Metal decoration is extremely popular nowadays and the use of bronze, copper and other metals and even the combination of different ones that are mixed in different ways is an incredible idea to give a little life and glamor to interior decoration and make it even brighter. 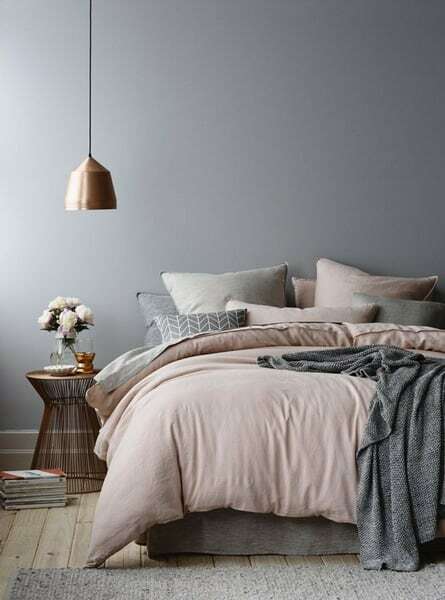 But the most novel of all is copper, of course, and it’s not surprising: copper adapts to combinations with many colors, looks good with other materials and is interesting and striking. 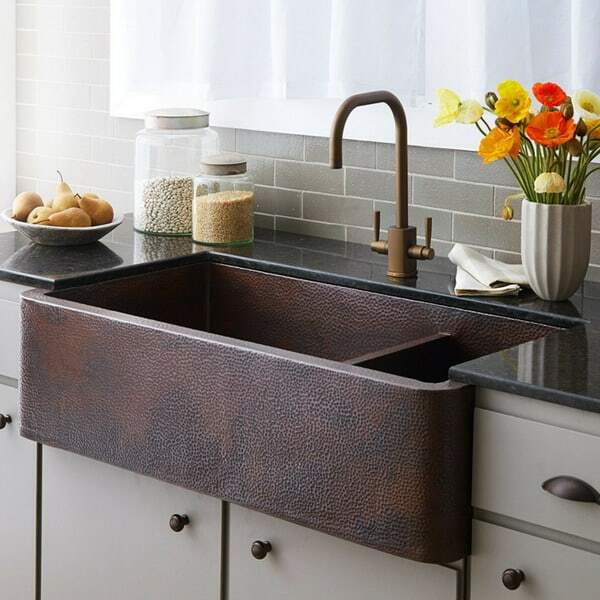 In addition, copper can be adapted to any space, from an industrial one to one of vintage inspiration, which is a great advantage, just consider the style of your space when you choose the designs. 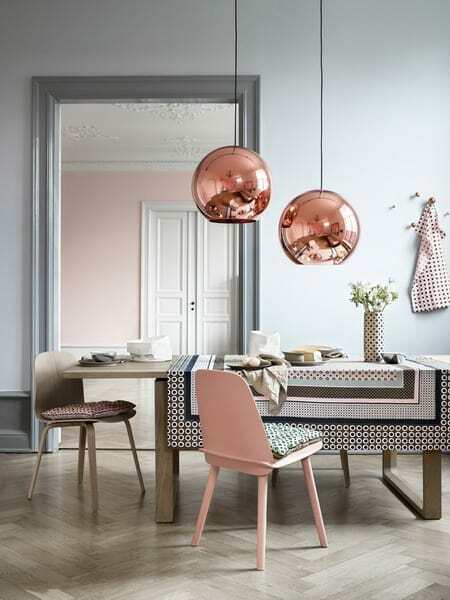 Copper can be added to the decoration of your home in different ways: lamps, accessories, furniture and even sinks and bathtubs are as you can see in our photos. In 2019 this material will still have a place in modern houses and will help us create a bold and modern look. 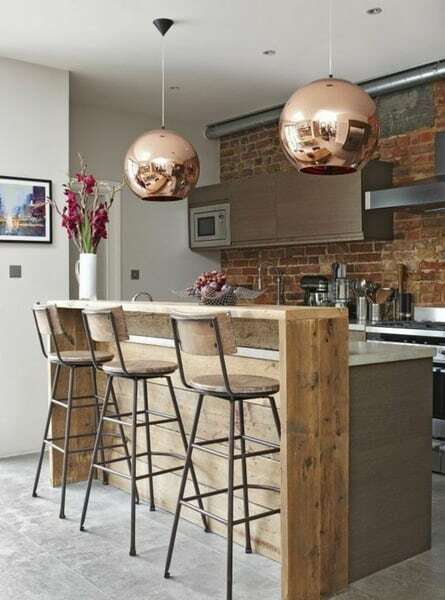 The oversized copper lamps soften the space and make an attractive statement. 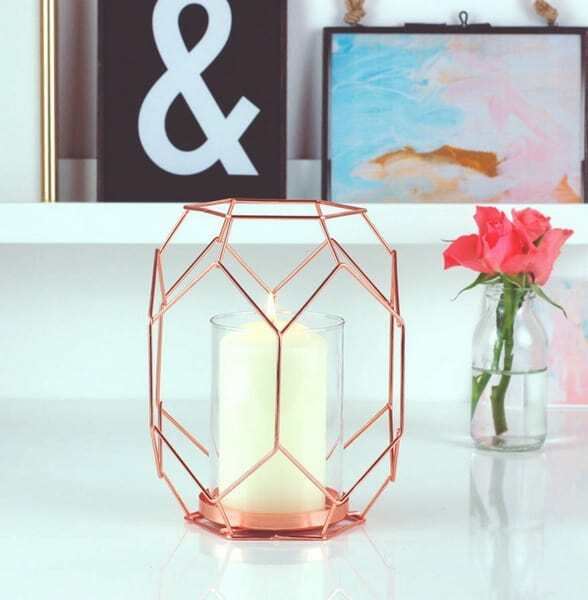 On the other hand an arrangement of copper candelabra is an elegant addition to any space. A modern copper coffee table is another option to stand out in the lounge. 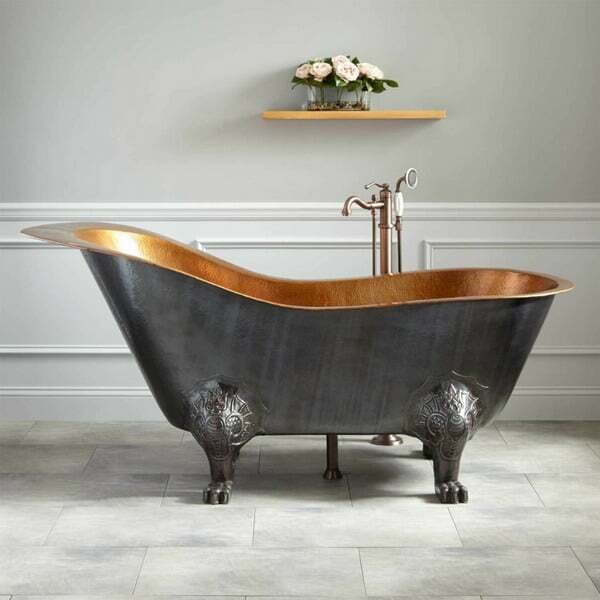 The copper bathtub makes your bathroom very elegant. 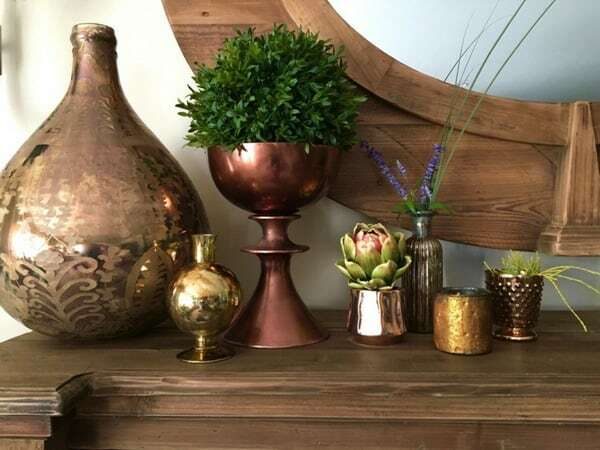 The copper vases and some pretty copper cups or glasses will add elegance to your entrance or bedroom. 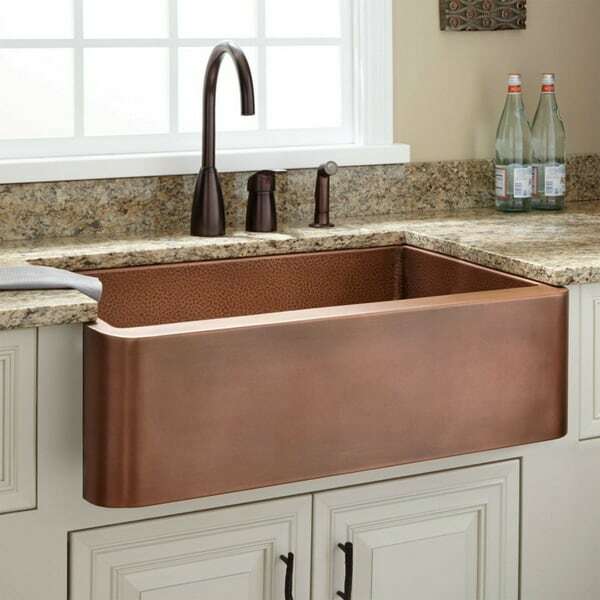 A copper sink will bring a refined vintage touch to your kitchen. All this you can see in our photos that try to show the beauty of this element that will remain modern in 2019. 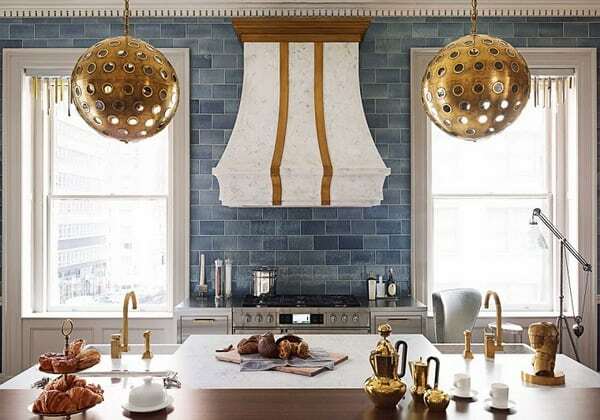 The most elegant kitchens of 2018 came in shades of graphite, warm grays and all shades of blue, from light blue to dark blue. The color adds character to the space and the cabinets do not deteriorate as fast as in the case of white kitchens. You can enjoy the practical and aesthetic aspects in one. Although this year according to Panettone the color of the year will be ultra violet these shades already mentioned will also take place in the design of the kitchen. The trend of exposed concrete has already started in 2018. We have many articles on the subject and as expected, this element will triumph throughout the year 2019. The material is durable and relatively easy to use. Its light gray and natural tone matches the vast majority of contemporary designs. From the concrete can do almost anything with respect to the design of interiors: floors and walls, furniture and bathroom furniture. 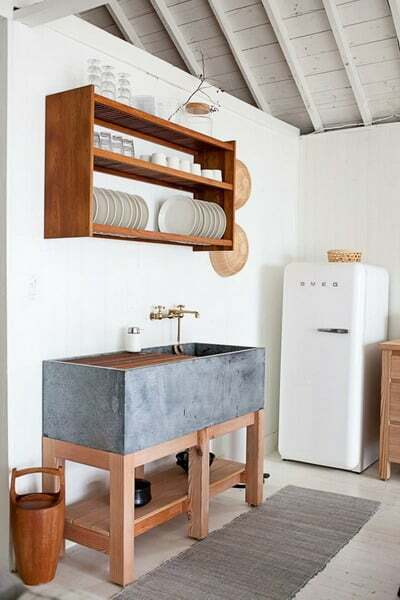 During the next year, concrete sinks will be super trendy. Rattan, also known, is a natural material, considered one of the best for the production of woven furniture. The rattan armchairs are an affordable and indisputably modern alternative to upholstered seats, which also, thanks to its lightness and structure. The last obsession of 2018 was wicker storage accessories: baskets, boxes and pots. However, during 2019 very modern will be also rattan lamps. 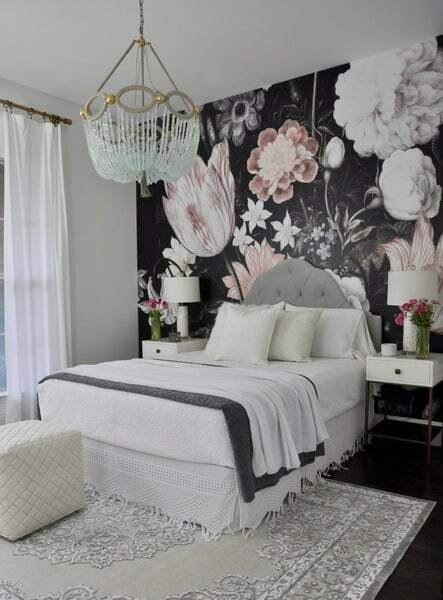 Decorative walls are a very original option to add interest to your space, decorative walls continue to trend as one of the easiest ideas. You can use anything you want: black paint, striking wallpaper, natural wood or imitation wood, various decorative panels, etc. Some of the panels will also be functional, for example, you can opt for soundproofing. 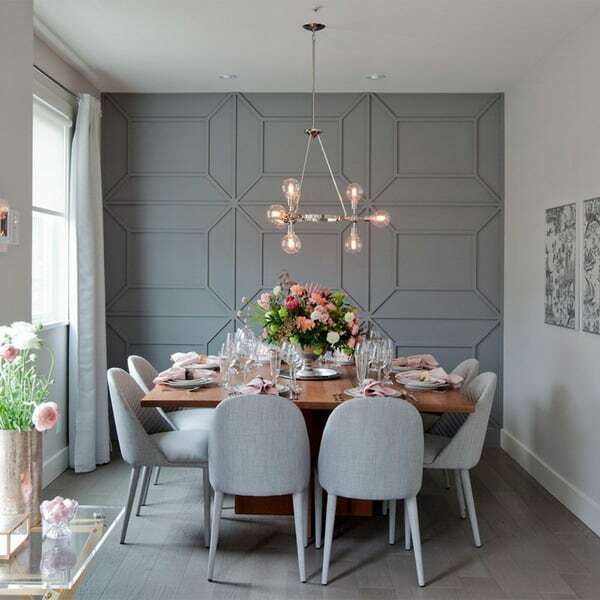 It can be just an accent wall or all the walls covered or covered with something very bold, the main idea is to achieve a harmonious but interesting and not be excessive with it. 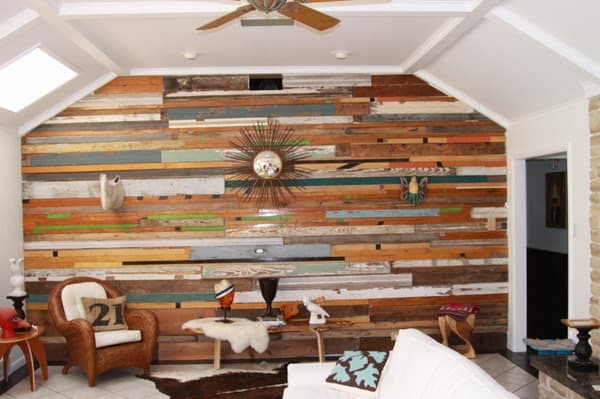 Here you have several walls votes that change the design of the space. In the year 2018 we have heard about a style that little we knew about is the Wabi-Sabi style. The reason is that during 2018 for interior design the road of simplicity is followed. Recently, many began to think about how to return to the roots: to give up everything, to leave behind the bustle of the city and enjoy the simplicity. This is exactly what Wabi-Sabi is about: seeing beauty in the imperfect. In the decoration, Wabi-Sabi tries to appreciate the not so perfect and create a livable environment instead of a magazine decoration. The new year 2019 gives us the opportunity to release tension, relax and enjoy the very essence of life without worrying too much about insignificant things. But there will also be many who will try to escape the ecological trend in the interior. Of the trend, of the use of natural and ecological materials. Wood, metal and glass will be displaced by plastic, synthetic materials will take the place of natural fabrics. 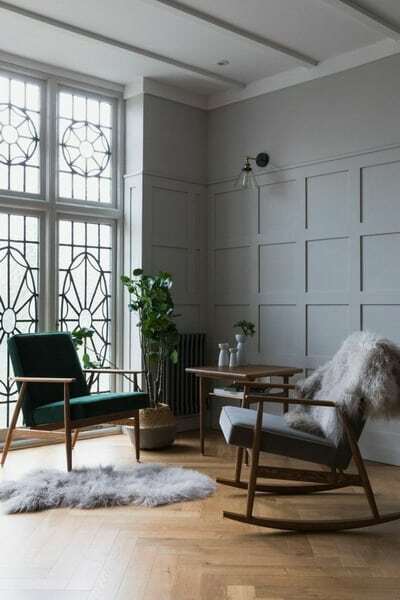 But this does not mean that we should forget about the wood surfaces with minimal processing, natural stone, pottery, living plants, wicker furniture and rattan accessories. 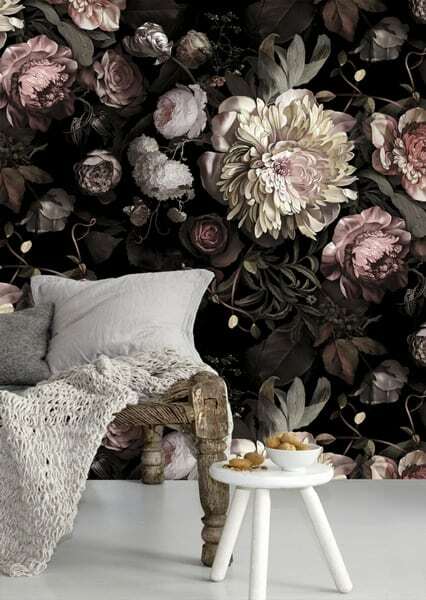 As we said the decorative wall papers also tend to flora and fauna. 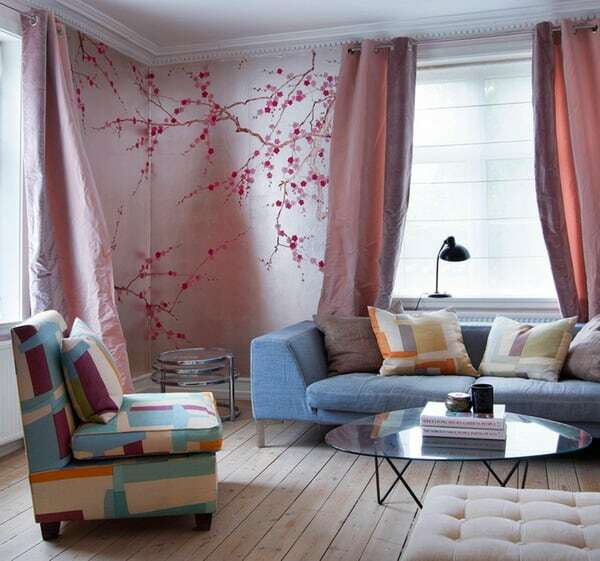 In modern interiors, there are images of animals, birds and flowers. The unconditional trend of the year 2018 was tropical and African reasons; This trend promises to continue in the new year. The natural forms are actively inspired by the world of modern architecture. We can assume that it is bionics that will inspire furniture designers in the coming years. During 2018 more than once we talked about marble but marble slowly gives up its position and ceases to be a crucial part of modern cuisine. 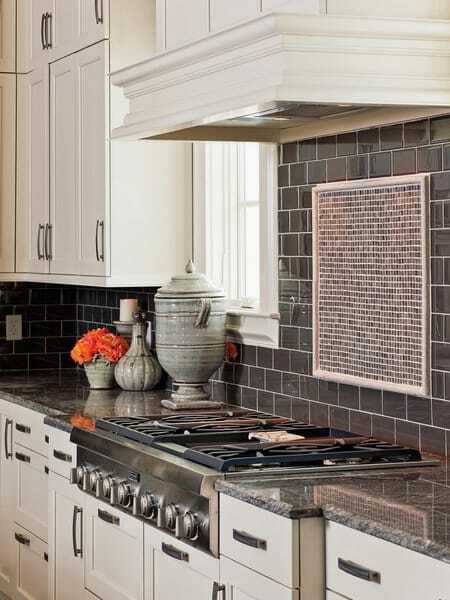 One of the new trends is the mosaic on the kitchen dashboard. 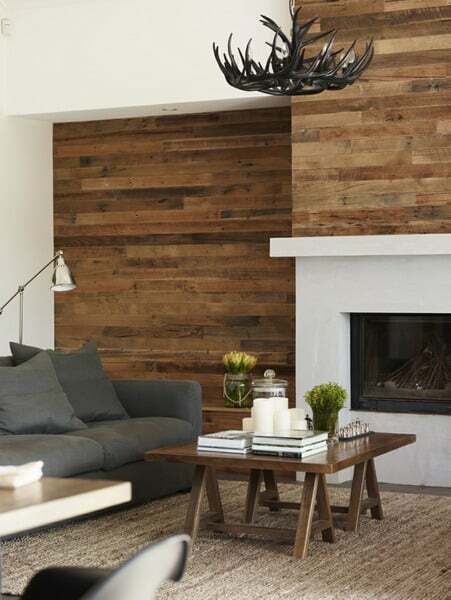 Instead of the painted walls come the coatings that imitate natural materials: stone, brick, concrete and wood. The lighting of open shelves, cabinets and kitchen backspots is still relevant. What else will be of mosa in the kitchen in 2019? The kitchen next year will begin to play a role as a living room. This is facilitated thanks to the open plan design so popular in recent years, linking the kitchen and the living room. 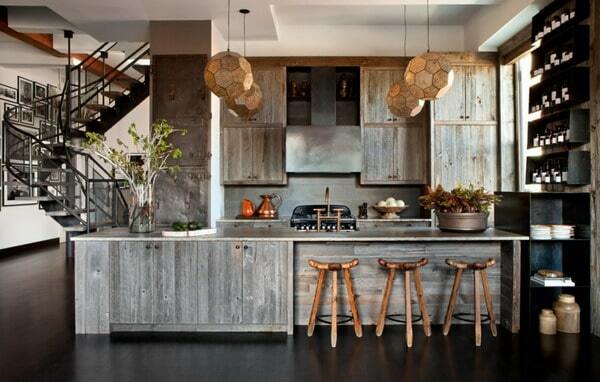 The design elements of the living room flow into the kitchen. The kitchen cabinets, will leave space for open shelves with interesting lighting, which can accommodate the same decoration. 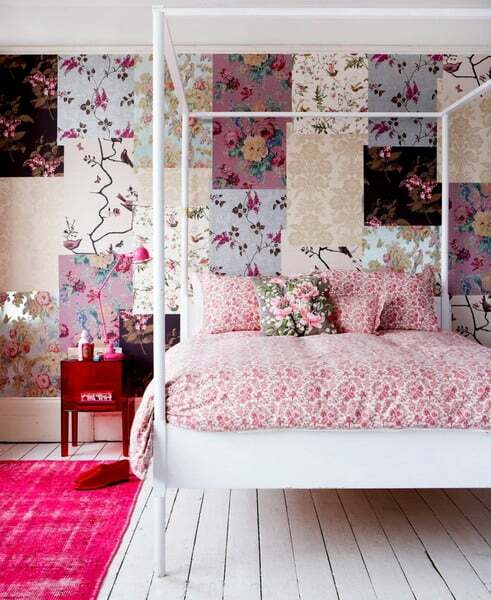 Glamor goes back to the decoration of modern interiors, but it does it with delicacy. It is not about eccentric leopard prints and uncontrolled luxury inspired by the European retro style, but the elegant Art Deco of the 1920s. 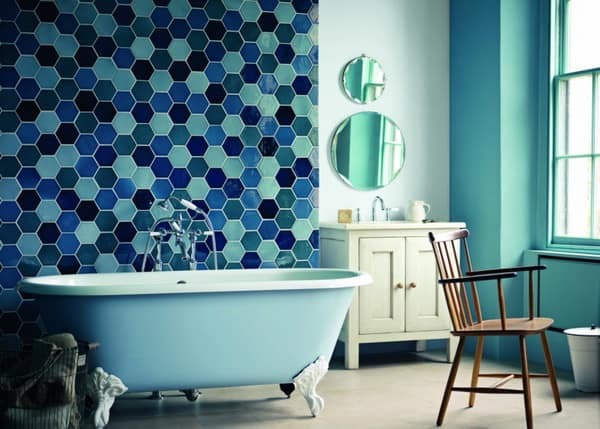 This trend has reached the world of interior design in recent years and we could see it in geometric patterns. 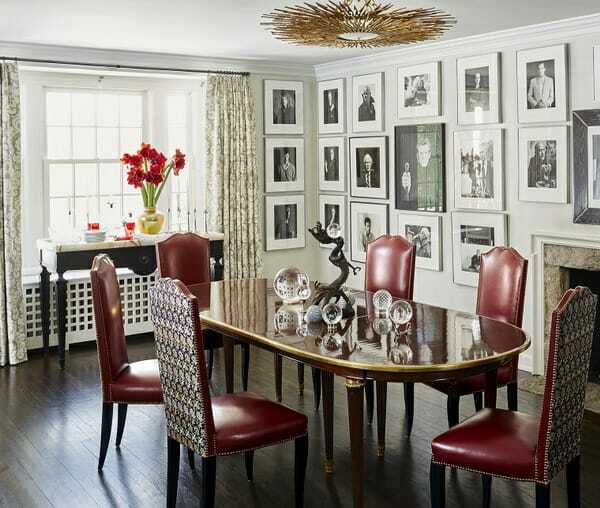 When we are talking about Art Deco in modern decor, do not think about the splendor of The Great Gatsby. 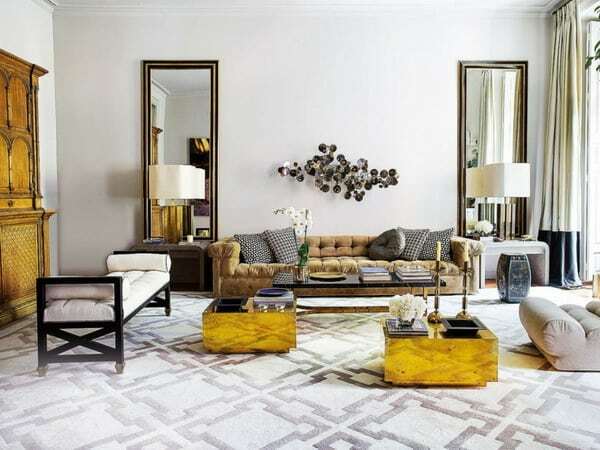 It would be a matter of acquiring only different elements of this style such as, for example, golden details, mirrors in the shape of the sun and symmetric organization of the space. 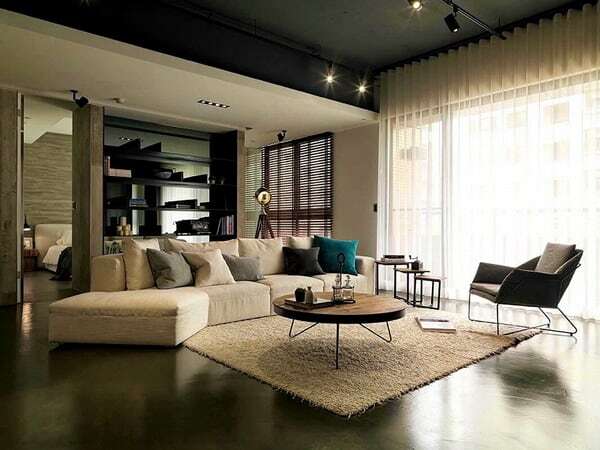 The glamor of the 1920s is mixed in the modern styles of the interior, settling comfortably in neoclassicism, contrasting in an interesting way with minimalism, the Scandinavian style and the industrialism of the loft. In the next year thanks to the free access we have to acquire design furniture and decoration elements, it will also be relevant to show our individuality in our design. The individuality in the interior is also favored by the modern modular construction and the elements that can be arranged to your liking. It is important to understand that trends are not taken out of nowhere and here we talk to talk. in the air. For a thing to become a trend before the tastes and preferences of the public are analyzed. As an example we can give the Art Deco that was born in the period between two devastating wars, when people wanted a peaceful life. Fashion is a mirror that reflects the moods and desires of society in the present moment of history. But as we all know well, no one is obliged to follow the rules, I can accept them or not. 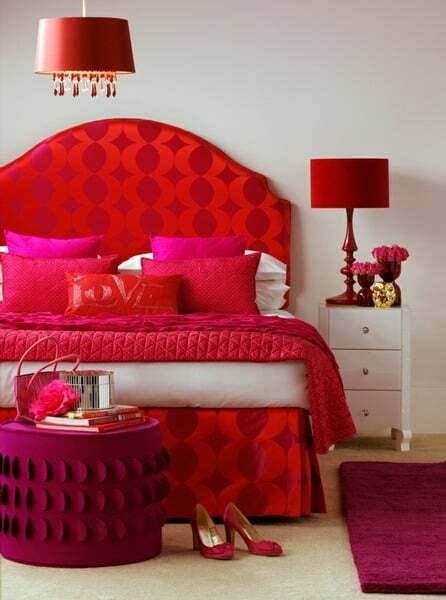 The design depends only on you and what you think is appropriate for your home.